A look back on some of LGC’s digital innovations of 2018. LGC has always sought to bring you hard-hitting news, analysis and comment but the way stories are told has changed and it continues to change. 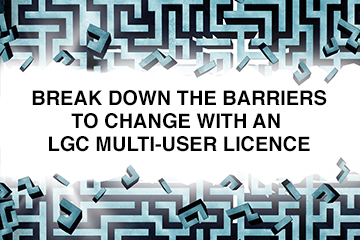 Like the sector it serves, LGC has embraced digitisation and innovation. Over the last year our team has experimented to try and ensure the biggest issues are explored in entertaining yet meaningful ways. Councils have collectively spent almost £4bn making 223,000 staff redundant since 2010, LGC research revealed. Our maps showed not only the regional impact of austerity, but the effect on individual areas too. Continuing the workforce theme, more LGC research revealed how chief executives of London boroughs earn an average of more than £23,000 a year extra than their counterparts in other regions. LGC mapped the areas with a HRA to test a hypothesis that many councils with a HRA tend to be located in urban areas and therefore tend to lack the land required for housing. Key quote: John Fuller (Con), chair of the District Councils’ Network, argued additional financial capability should be created for councils without a HRA to help where “registered social landlords just aren’t taking up the slack”. “I’m not going to [hypothetically] call it the IRA – the infrastructure revenue account – but we do need a bucket that can deliver limited borrowing and not affect councils’ general funds,” he said. More housing research, but from earlier in the year, showed how the proportion of new homes built in the green belt in 2016-17 doubled compared to the previous year. The analysis uncovered how 41% of all new homes in Purbeck DC in Dorset were built on green belt land in 2016-17, despite the fact only 20% of its area is in green belt. Key quote: Purbeck’s leader Gary Suttle (Con) said the council had been forced to build in these areas due to a “pressing need for more affordable homes” which had to be balanced against “very constrained” space issues. 2018 has been a memorable year for many reasons but it was also the year when applications to create new unitary councils in Dorset and Buckinghamshire were approved, as well as district mergers in Suffolk and Somerset. Plans to create two new unitary councils in Northamptonshire are also well advanced. At the beginning of the year LGC mapped where all of the rumours and rows about reorganisation were taking place. Key quote: The Ministry of Housing, Communities & Local Government has stated in notes relating to restructuring in Northamptonshire unitaries should cover “a credible geography consisting of one or more existing local government areas” and have “a substantial population that at a minimum is substantially in excess of 300,000”. No round-up of LGC maps would be complete without the go-to guide for everyone in local government: LGC’s Council Control Map. Updated after the elections on 4 May this year, the map shows the political makeup of every council and combined authority in England. LGC is looking forward to telling more stories in visual ways in 2019!